Sing Out! was the primary publication of the tax exempt, not-for-profit, educational corporation of the same name. Irwin Silber was an important co-founder along with Pete Seeger, and was the magazine's long-time editor from 1951 to 1967. Volume 12 Number 4, October-November 1962, 7 pages on Bob Dylan: historic text by Gil Turner "Bob Dylan A New Voice Singing New Sings", lyrics to several songs (forward by Dylan himself each time) Blowin' In The Wind, Ballad Of Donald White, Song To Woody; also full page advertisement by Columbia on Dylan's first Lp and a nice pic of Bob by John Cohen. Vol. 19, No. 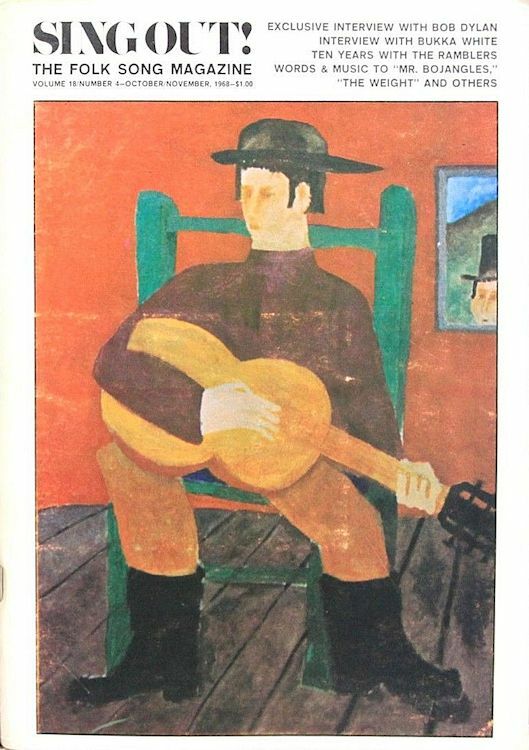 4, October-November 1968, 13 pages, painting by Bob Dylan on the cover. 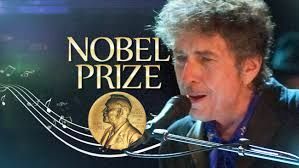 Includes an interview with Bob Dylan, and interview with Bukka White, Woody Guthrie, Another Image, words and music to Mr Bojangles and images of London 1968. 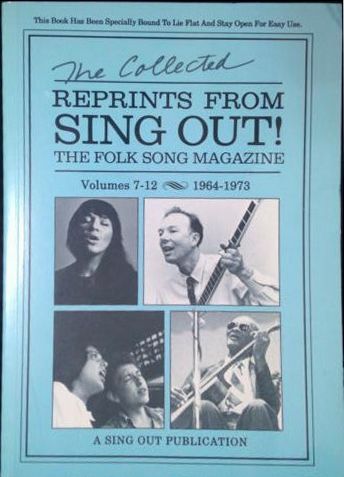 'The Collected Reprints From Sing Out! 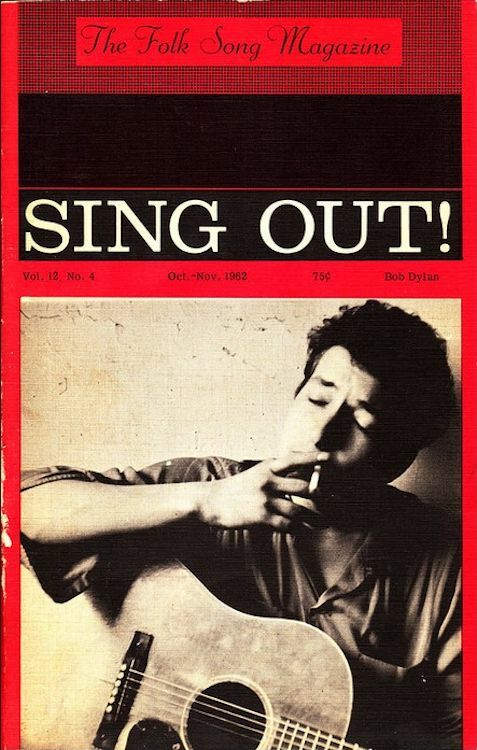 The Folk Song Magazine. Volume 7-12, 1964-1973". A Sing Out Publication 1992, 384 pages.